Jeff Moon is the Director of Portage, a national, library-based network launched by the Canadian Association of Research Libraries (CARL) with the goal of building capacity and coordinating Research Data Management (RDM) activities in Canada. 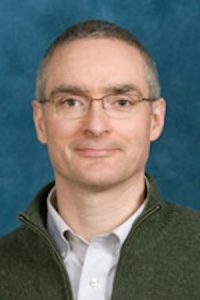 Prior to his role with Portage, Jeff served as Data Librarian at Queen’s University Library and as Academic Director of the Queen’s Research Data Centre. He also managed the Queen’s RDM Service. Jeff also teaches a graduate-level RDM course at Western University.